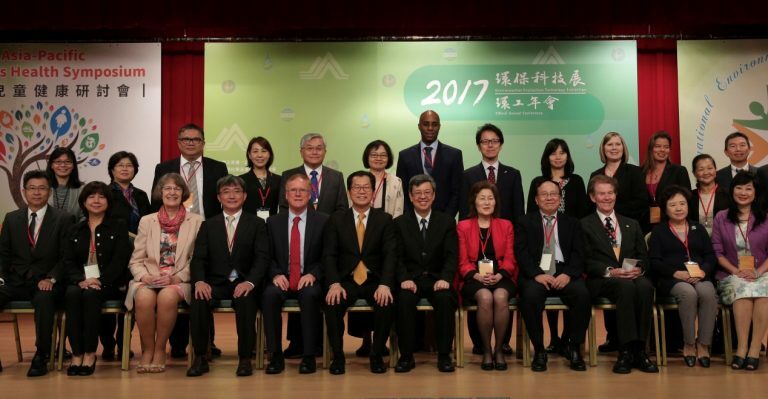 Taiwan’s first-ever Asia-Pacific Children’s Health Symposium was held on November 8-9, 2017, with participants including academics and top environmental and health policy makers from the U.S., Japan, Korea and Singapore. Vice President Chen Chien-Jen gave the opening keynote speech. At a roundtable forum at the end of the symposium, participants jointly drafted a policy proposal and handed it to EPAT Minister Lee Ying-yuan, who replied that the EPAT would share it with the people of Taiwan and seriously consider its recommendations. Other attendees included the Acting Assistant Administrator of the U.S. EPA’s Office of International and Tribal Affairs Jane Nishida and the Director of the U.S.EPA’s Office of Children’s Health Protection Dr. Ruth Etzel.